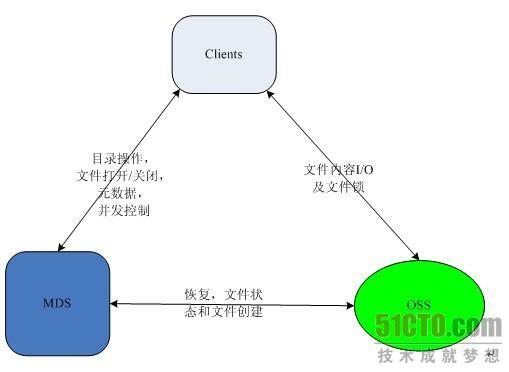 1 The end user initiates authentication by presenting a User-Supplied Identifier to the Relying Party via their User-Agent. 2 After normalizing the User-Supplied Identifier, the Relying Party performs discovery on it and establishes the OP Endpoint URL that the end user uses for authentication. It should be noted that the User-Supplied Identifier may be an OP Identifier, as discussed in Section 7.3.1, which allows selection of a Claimed Identifier at the OP or for the protocol to proceed without a Claimed Identifier if something else useful is being done via an extension. 3 (optional) The Relying Party and the OP establish an association -- a shared secret established using Diffie-Hellman Key Exchange [RFC2631]. The OP uses an association to sign subsequent messages and the Relying Party to verify those messages; this removes the need for subsequent direct requests to verify the signature after each authentication request/response. 4 The Relying Party redirects the end user's User-Agent to the OP with an OpenID Authentication request. 5 The OP establishes whether the end user is authorized to perform OpenID Authentication and wishes to do so. The manner in which the end user authenticates to their OP and any policies surrounding such authentication is out of scope for this document. 6 The OP redirects the end user's User-Agent back to the Relying Party with either an assertion that authentication is approved or a message that authentication failed. 7 The Relying Party verifies the information received from the OP including checking the Return URL, verifying the discovered information, checking the nonce, and verifying the signature by using either the shared key established during the association or by sending a direct request to the OP. marshal[消防局长；防火处处长]. Anyone here a fire marshal? Good. We're fine. Come on in and sit in the aisles. class is CS106A or E70A, so if you're, like, "Wait. I thought I was in E70A," you're fine. They're the same class; it's the same thing. No worries, okay? out. They're the same handouts. They'll still be there. good idea for where we're at, okay? prerequisite[n. 先决条件] for this class. already to be on, all right? anything? All right. I would expect most of you. right? It's just I don't wanna know. How many people have actually created a web page? Okay. Fair number. How many people have done any kind of programming before? Fair number. All right. probably am, but that's a whole different story. eventually gonna provide it free to the world. that your voice, should you ask a question, may actually be recorded as part of the video. anyone actually on the video, but your voice may actually get recorded, okay? every once in a while, I might get on your case and be, like, "Please use the microphone." Sahami. I'm the professor for the class. Don't call my Professor Sahami, way too formal. discuss stuff as you go along. and gives the lectures. But Ben really is the one who's got all the power. when we're sort of going through the class. is kind of a happy form of communication to get a hold of us, okay? by this class, okay? Because it really is meant to sort of be an interesting time. for that is that programming methodology is about good software engineering principles. It's about something that's much larger than just programming. how to program by just reading the book. And they're, like, "Oh, I know how to program. engineering principles that go into actually developing a software system. writing essays." That's fine. It's okay. Trust me. I didn't like writing essays either. But the whole point is that when you write an essay, it's not a formulated kind of thing. because you have to unlearn the bad habits. and they say, "Oh, only one third of you are actually gonna make it through this program. experience and to make sure that everyone gets through. So you don't need to think about, oh, is someone else doing better than you or whatever. requires you to really understand the material. figure out that it's on, you're in good shape. by the end of the class. No, it's okay. But you'll be prepared if that's what you wanna do. majors or the computer science majors. bit of what computers are about. we'll hook you up to the IV drip. not sure I should be here." That could be the case. okay? So you still certainly have that course path. are actually available to you. of your classmates and actually leave the room, which is probably impossible. put that in, it'll take you to the class web page, okay? actually giving out, you can find them all on the web page, okay? life in the city. Congratulations. Five units. where you sign up for them. In Axess, you just sign up for the class. you what section you're in. And section's 50 minutes, once a week. It's required to go to. they go up. So if you try to go there now, you can't sign up. Remember 5:00 p.m.
because you only need one section, okay? mean? It meets on Channel E2, okay? That is grammatically the correct way of saying it. All right. So there's a little bit more administrative stuff. Now, textbooks, right? textbooks that are required for this class. Well, one's a course reader and one's a textbook. bookstore on campus, so you can go and pick up a copy of this. order, but we'll go through the whole thing, okay? have an email account, get an email account and that's how you'll stay in contact with us. but email is kind of the general method for communication. quarter. It's just that much fun, okay? become more complicated, so we tend to weigh them more toward the end of the class. So the later assignments count more than the early assignments. grueling process of downloading and installing Eclipse. Eclipse there. So you're sort of happy to go either way, okay? whole bunch of comments on it and hand it back to you. Even that's kind of not enough. due to actually go over in something referred to as interactive grading. programmer as well as get help if you need help, okay? we have to say psyche. So it's IG. Just remember that, all right? because people get all wrapped around the axle about the grade. like this. It's kind of involved to actually draw, so I need to erase the board to do it. Check. That's kind of the beginning of our grading scale, okay? the two sides of it: check plus and check minus. yeah, there are some slightly more significant problems with your program. you're in a pretty good candidate to get an "A" plus. program that just goes — it has to actually exceed the requirements for the assignment. this category if it's flawless. slapped something together or it doesn't really work, that whole deal. the grading scale works now. days — we refer to these as late days, strangely enough — you get two free ones. something is due on a Wednesday, you turned in on a Friday, that's a late day. That's one. late days among two different assignments. You can use them both on one assignment. assignment, like, on Wednesday because I'm playing Frisbee golf this afternoon," right? you fall behind in the class. responsibility. We're giving you two freebies. We're not gonna give you a third extension. extensions to beyond the two free late days. kind of important. Exams: There's two exams in this class. There's a midterm and a final. when we get close to the midterm. to know about the midterm. out of class, but you get a free day for it, all right? actually need grading to make sure that learning takes place. final exam in the regular final time slot for this class. of your grade is the final. section? Did you participate in class, right? room, I can't throw a Kit Kat back there because they're a little too light. Oh, yeah, sorry. or to keep your blood sugar up if you need it, all right? code all about, and how does that affect working in groups and computer science, etc.? Does that mean we shouldn't talk to each other? No. The answer to all those is no, okay? amongst yourselves. That's a great thing. someone else. Don't look at someone else's printout. Don't give them a printout. you want. That's great. Write your own code. That's all we care about. you cite you cannot be held responsible for under the honor code. guarantee you most of the time, you'll be just fine. distinction to have, let me tell you. it doesn't find spurious violations. never said, "No, no, no. I didn't cheat." They said, "You caught me," okay? So it's blatant. we catch it. We catch it all the time. So I hope, I pray it doesn't happen in this class. and getting a slight penalty on it beyond their two free late days, they decide to cheat. and we can just kind of go on, okay? logistics of this class or anything I just talked about? Uh huh? Student:You had briefly mentioned the late penalty. Student:Are the sections first come, first served? all right? Any other questions? It's just honesty's cool. Uh huh? Student:How much time should we plan on studying [inaudible]? hours a week will be spent on your assignments in this class. Again, that's an average. the average you can plan for. Uh huh? Another question? Student:[Inaudible] late days [inaudible] class days? halfway mark's really my reach. That's about it. All right. this, there's a few things that we wanna keep in mind. or see the helpers in LaIR. two relays in the computer and was causing these sort of errors to happen on the fritz. there, the computer started working fine again, and she taped it in her log book. of sort of the modern term debugging actually came from. that they don't kind of think about the big picture. actually been adopted by a bunch of people. is? Oh, free candy. Uh huh? Student:He coined the term, "robot." pronunciation. But we say Karel these days because it's kind of like gender neutral, okay? lunch pail, except he's got legs. One sticks out his back. That's just the way it is. them as streets and avenues. That's where Karel lives. certain things about his world. So there's some things that exist in Karel's world, okay? like this one if Karel were over here, he can't step through that wall. he put pieces of candy in the world, he carries around a whole bag of candy. it; sometimes it only has one beeper; sometimes, it's sad Karel, and he has no beepers. can potentially pick up, okay? So any questions about beepers or Karel having a little bag of beepers? And that's it. Alrighty then. Welcome to 106A. I'll see you on Wednesday. By contrast, an organization that prefers local improvisation and free wheeling may well choose distributed database system. 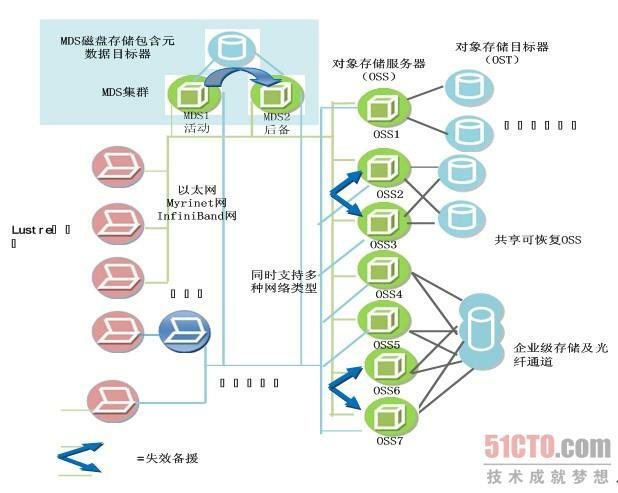 It may also choose the network data model，which is well suited to searching and updating data in a distributed system. Communication between distributed commutinies of computer is required for many reasons．At a national level, for example, computers located in different parts of the country use public communication services to exchange electronic messages（mail） and to transfer files of information from one computer to another: Similarly, at a local level within, say, a single building or establishment, distributed communities of computer-based workstations use local communication networks to access expensive shared resources-for example, printers, copiers, disks and tapes, etc．-that are also managed by computers．Clearly, as the range of computer-based products and associated public and local com-medication networks procreate, computer-to-computer communication will expand rapidly and ultimately dominate the field of distributed system. Historically, computers were so expensive that most large organizations did all their data processing on a single, centralized machine. While very efficient for such tasks as payroll and generating accounting reports, the centralized approach was very useful to those who needed a quick response to a unique, local problem. With today's inexpensive micros and minis, there is no reason why a branch office, the engineer-in department, or any other group needing computer support cannot have its own computer. By linking these remote machines to a centralized computer via communication lines, local activity can be monitored and coordinated. This approach is called distributed data processing.